ATLANTA (Thurs, Dec 1, 2016) – In support of Boys & Girls Clubs of America, Buffalo Wild Wings® is donating a total of $1.1 million raised during the month of October through the annual Team Up for Kids fundraiser. These funds will go to support Buffalo Wild Wings’ national partnership with Boys & Girls Clubs of America, focused on youth sports programs and select facility improvement projects at Boys & Girls Clubs across the country. Buffalo Wild Wings’ fundraising campaign was given a boost by a professional football player who visited Boys & Girls Clubs of Greater Dallas on the grand opening of its new football facility, supported by Buffalo Wild Wings. During the celebration, the player participated in a national digital spot to raise awareness for the national partnership with Boys & Girls Clubs of America and the October fundraiser at all Buffalo Wild Wings restaurants around the country. 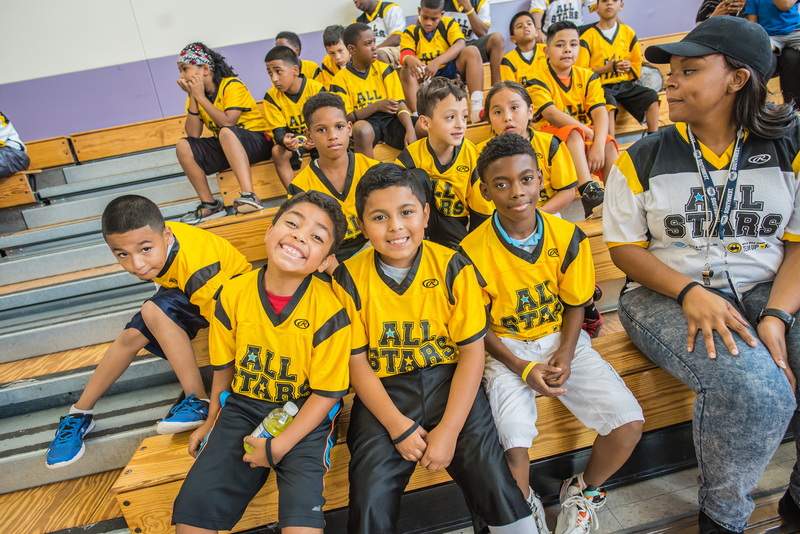 Support from Buffalo Wild Wings funds Boys & Girls Clubs of America’s ALL STARS, the leading team sports program hosted at hundreds of local Clubs around the country. The donations help train coaches and provide uniforms and equipment to young athletes, and change the game for many kids and teens, giving them the opportunity to play team sports at their local Club and learn skills that will help them grow into productive, caring and responsible citizens. 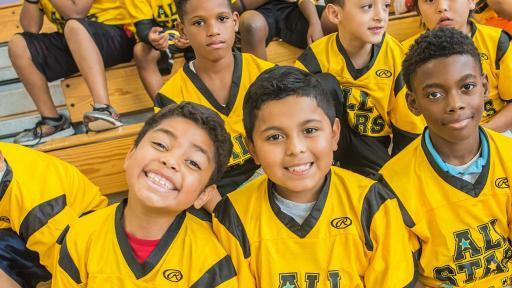 Now in its fourth year, Buffalo Wild Wings has donated and raised over $6.7 million through its Team Up for Kids mission for its partnership with Boys & Girls Clubs of America to support ALL STARS grants for hundreds of flag or tackle football, basketball, cheer, and dance teams at Clubs across the country. 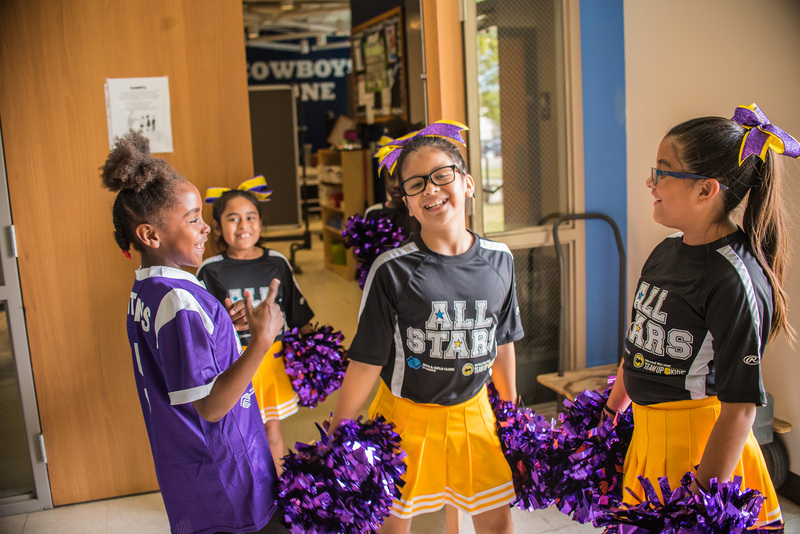 In 2016, Boys & Girls Clubs of America’s partnership with Buffalo Wild Wings is enabling more than 74,000 kids and teens to participate on teams through ALL STARS. The company also awarded Team Up for Kids grants to 20 Clubs across the country to improve their sports facilities. In total, Buffalo Wild Wings has committed to donating an additional $10 million to Boys & Girls Clubs of America through 2020. Buffalo Wild Wings, Inc., founded in 1982 and headquartered in Minneapolis, is a growing owner, operator and franchisor of Buffalo Wild Wings® restaurants featuring a variety of boldly-flavored, made-to-order menu items including its namesake Buffalo, New York-style chicken wings. The Buffalo Wild Wings menu specializes in 21 mouth-watering signature sauces and seasonings with flavor sensations ranging from Sweet BBQ™ to Blazin’®. Guests enjoy a welcoming neighborhood atmosphere that includes an extensive multi-media system for watching their favorite sporting events. Buffalo Wild Wings is the recipient of hundreds of "Best Wings" and "Best Sports Bar" awards from across the country. There are currently more than 1,200 Buffalo Wild Wings locations across the world. 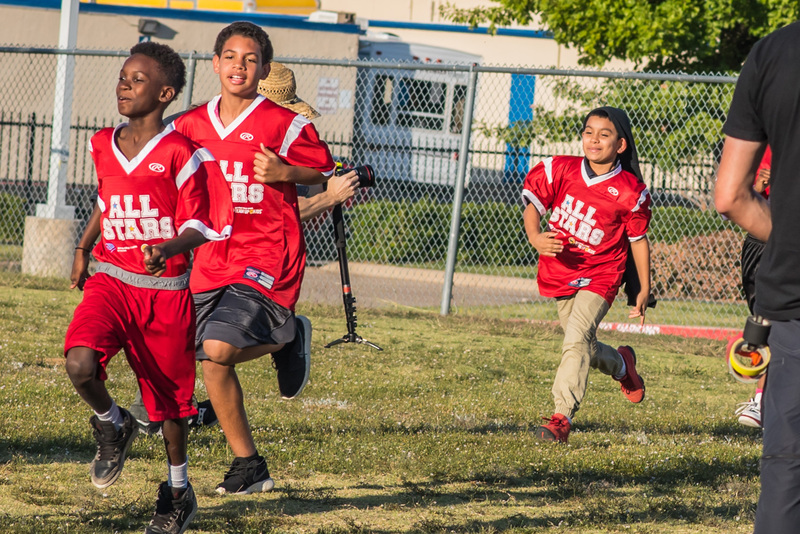 Buffalo Wild Wings’ charitable giving mission – TEAM UP FOR KIDS™ – centers on the vision: There is a champion in every child. 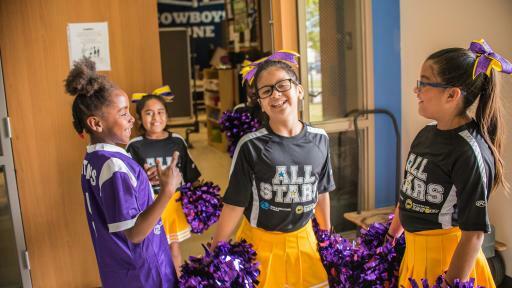 We are committed to helping build communities where all kids can thrive, compete, and belong to a team. 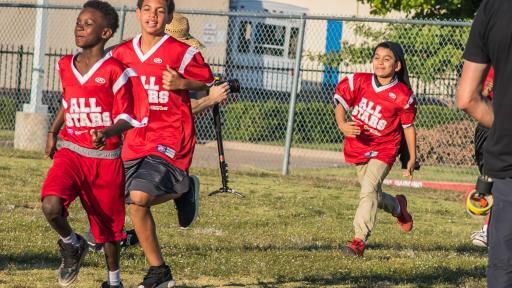 As part of this mission, Buffalo Wild Wings has teamed up with Boys & Girls Clubs of America (BGCA) to help thousands of kids play on sports teams each year. Buffalo Wild Wings is committed to donating and raising at least $16 million for BGCA by 2020. Guests can join the effort through donations from sauce and seasoning bottle purchases and in-restaurant fundraising events. For more information, visit www.buffalowildwings.com/giving.